homework, and Mitch knocking on the door to ask where he can find his keys. morning to make the most of our day together. has nodded off, and it’s time for bed. Use that time to talk instead. between feeding Evan and wiping food off the walls, I make time to tell a story. day, plan for the next, and giggle as our son learns to use a fork. chance to visit with neighbors. 4. Find a hobby you both enjoy, and DO IT. and we left feeling fit (and sore). not urgent, it can wait, so I can get home to my family. engagements, you may have no time for your own family once the party’s over. relate to being exhausted and strapped for time. which in turn will reflect in your own family’s wellness. Contributed by Dr. Carrie Holland. balance? Please share your tips with us! Vitamins and Supplements: Are They of Benefit? Do you take a vitamin or supplement? If so, why? Maybe you saw a commercial promoting the benefit of a certain supplement to make you smarter or stronger. Perhaps a friend takes a supplement and recommends it for thick and shiny hair or wrinkle-free skin. Or, did your physician advise you to start a vitamin to prevent a disease? If you are one of nearly half of the US population who takes a supplement, there may be several reasons that led you to add this to your daily routine. Regardless of what prompted you to begin taking your vitamins or minerals, you may be wondering if it’s making any difference. On December 17, 2013, three articles and a very frank editorial in the respected journal Annals of Internal Medicine questioned the use of vitamins and minerals to prevent heart disease and cancer and to maintain brain function. The editorial makes no mistake in its recommendation with its bold title: “Enough is Enough: Stop Wasting Money on Vitamin and Mineral Supplements.” It alludes to other articles which suggest little or no benefit to the supplements studied. The first article reviewed the use of vitamins/supplements to prevent cardiovascular disease and cancer, and found no benefit in healthy adults without nutrient deficiencies. The second article investigated if a daily multivitamin would prevent cognitive decline in men over 65 years and found no benefit. Finally, the third article evaluated the use of a multivitamin in patients with a previous heart attack and found no reduction in recurrence of heart disease. Given this information, you may be asking if the vitamin you are taking is worth it. When I read these articles, I had to remind myself this is one group’s conclusions, and all research studies have limitations. If I made my medical decisions based on individual articles, I would be giving different advice every week, depending on the latest journal report. So what does this mean for you? Before dumping your bottles in the trash and swearing off supplements forever, understand there are situations when a supplement is beneficial. When my husband and I were considering getting pregnant, I started a prenatal vitamin with folic acid to prevent brain and spinal cord defects in the developing baby. If your physician has found you are at risk of macular degeneration, she may have advised you to take a multivitamin with lutein and anti-oxidants. Calcium and Vitamin D can prevent osteoporosis. Women with heavy menstrual cycles may benefit from iron supplements. There are multiple examples of when a vitamin or supplement is useful. However, remember that supplements are just that; they are intended to complement a healthy lifestyle of a balanced diet and exercise, not act as a replacement for them. The most common scenario I see is a patient who eats a diet of fast food, bread products, and sugary beverages, who takes a multivitamin to ‘fill the gap,’ and make up for the missing nutrients from not eating fruits and vegetables. Popping a vitamin at the end of the day will not make up for the burger and fries eaten at your local fast food joint. It is better to get your nutrition directly from food, not from a pill. There is a place for vitamins and minerals in our daily routine, but the role should be small – a supplement – just as the name implies. Your grandmother did not say “a supplement a day keeps the doctor away,” now did she? As Dr. Holland explains, the decision of whether or not to take a supplement is not black or white. There are also more factors to consider. You may have heard discussions on the quality of our food and if it still contains the proper nutrients. What about possible contaminants in our food supply such as hormones and pesticides? Issues to consider regarding supplements: Are they absorbed by our body? How is production regulated to ensure quality? And a major concern is cost. I’d like to invite Dr. Holland back to blog with us on more topics. If you have questions or want to suggest a topic, please post! 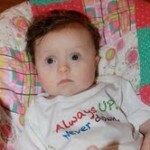 Another UPside of Down syndrome? Those cute, petite noses. I am so thankful Ella did not inherit the nose of either my mother’s family (German descent) or of my father’s American Indian ancestry. However, having a tiny nose means also having tiny nasal passages that more easily become clogged with – well, you know – snot. It’s almost a daily battle in our household. When Ella gets stuffy, her speech becomes difficult to understand. The skin below her nose becomes raw and painful. Her lips crack from breathing through her mouth. She doesn’t sleep well, leading to daytime drowsiness which affects her school performance. The poor kid just doesn’t feel good. Long-term nasal congestion and chronic upper respiratory infections in our kids can also lead to dental decay, facial skin irritation, tongue protrusion, speech delays, and even stomach upset. A snotty nose may seem like mostly an irritation (to our kids and to us- the parents!) but it should be taken seriously. Ella started using a Neti Pot when she was about five years old. At first, I thought there would be no way she would tolerate it. And it did take a bit of time (and bribery) for her to get used to it. But now, Ella asks to have her nose cleaned out. Nasal irrigation has made a dramatic difference in Ella’s life. If you have a child then you are familiar with the challenges of treating runny, stuffy noses. There are many treatment options available but it can be hard to choose one. For many parents, giving medications to their child is a concern and I am often asked about alternative treatments for allergies, sinus infections, and colds. One natural solution that I highly recommend is nasal and sinus irrigation. The most well-known version of this treatment is the Neti pot. The Neti pot originally comes from an ancient yoga medical tradition but it has been used in many cultures to treat nasal symptoms for centuries. Basically, nasal irrigation flushes out the nose and sinuses with a large volume of salt water. It removes allergens, bacteria, and irritants. It also helps remove thick, sticky secretions that may be clogging the nose or leading to drainage. Not only does it remove unwanted debris, the saline solution in the Neti pot also soothes and moisturizes the nose. This is important in the winter, as the dry air can lead to nose-bleeds. While the Neti pot has been around for thousands of years, modern technology has improved on the method in some useful ways. Ancient cultures did not always use water to irrigate the nose. Some cultures were known to use urine or boric acid in the Neti pot. I am as fond of ancient traditions as anyone but I recommend using distilled, sterile, or previously boiled water to make up the irrigation solution. Also, we now have simple plastic squeeze bottles available that can provide a bit more force and flow through the nose. You can find one at any pharmacy. Whether you decide to use the Neti pot or a plastic squeeze bottle will be based on personal preference, as they are both effective. Be sure to not use plain tap water to irrigate the nose. It is too dilute and will irritate the lining of the nose. To make a proper saline solution, add a half a teaspoon of salt to 8 ounces of lukewarm water. Whatever salt you have in your pantry will work just fine, including iodinated salt. If you like you can use a half-teaspoon of baking soda instead. Some people will prefer one over the other, but either way is fine. Next, tilt the head forward and slightly sideways and place the nozzle in the upper nostril. Do not plug up the other side of the nose; simply let the solution drain out of the lower nostril. Do this over the sink or in the shower as this procedure can make a mess. Flush until the secretions are clear in color. Do this once or twice a day when nasal and sinus symptoms are active. Once symptoms resolve, I recommend performing nasal rinses 2 – 3 times per week as a maintenance regimen. Think of it as good sinus hygiene. Also, it’s important to properly care for your nasal irrigation device. Either wash the device thoroughly by hand, or put it in the dishwasher if it’s dishwasher-safe. Follow by drying the device completely after each use. Treating a runny, stuffy nose may not seem all that important but don’t forget how important the nose was to Samantha Stevens on the TV show “Bewitched”, or to Rudolph the Reindeer. While your children may not need their noses for casting spells or guiding Santa’s sleigh, we can make a big difference in their lives if we can help make their noses happy. Contributed by Dr. Ryan Sullivan, Board-Certified in Internal Medicine, Allergy & Immunology. One of the first concerns I had when given Ella’s diagnosis of Down syndrome was Ella’s independence growing up and ultimately as an adult. While taking independence for granted with my other children, I wondered about Ella’s ability to complete common, daily tasks. Would she dress herself? Do laundry? Prepare meals? Count money? As soon as Ella could crawl, I began preparing her to become self-sufficient by creating opportunities for her to help around the house. In a lower kitchen drawer, I placed her healthy snacks and bowls. She learned to pull the drawer open, select the snack she wanted, and pick the bowl I asked her to find (Ella; get the big yellow bowl. Ella; find the small green bowl). As her age and fine-motor skills advanced, she would also open the snack container that I selected specifically for building small hand muscles. She helped me sort the laundry and recycling, clean the house, and accompanied me to the grocery store where I explained each item purchased. No daily task was too small (replacing the toilet paper roll) or too big (vacuuming out the car); I considered every task required to be a self-sufficient adult and broke those items down into steps that I taught Ella. My mom thought I was crazy. “Just let Ella be a kid”‘ she said often. But I felt that independence was one of the greatest gifts I could give my daughter. As such a strong advocate of independence, I was shocked this week – on two occasions – to realize that I, of all people, have placed some barriers to Ella’s independence. It’s funny, really, that my tendency towards perfectionism ( I can’t help it that I’m happier when my towels are folded a certain way.) or phobia of germs (I blame it on the years of biology classes) would interfere with Ella becoming more grown-up. And blame my Dad for my insistence that one not waste water. At the mall this week, Ella insisted on using the restroom alone. I was mortified. She has perfect potty etiquette, of course, instilled in her by my years of training on how we contract germs. But what if the back of her legs touched the toilet while sitting on the paper she surely placed on the seat? What if she didn’t wipe properly? What if she flushed not with her foot but with her hand? It creeped me out. But as she stood there with hands on hips, glaring at me, I realized she was perfectly capable of going into the restroom alone. I gave in, though I stood outside the door listening in case she needed help. She had a lovely time on her own, saying hello to the other ladies, asking their names, and basking in the warmth of the hand-dryer. Tonight, Ella asked to shower on her own. She has been practicing this skill for over a year, but I still hesitated. What if she used too much shampoo? What if she didn’t completely rinse the conditioner, leaving her hair dull and heavy? My dad’s voice echoed in my head “what if she wastes water?” Realizing I was limiting Ella, I forced myself to the other side of the house to avoid the temptation to peek in upon her. I have to laugh at myself. I recognize and accept my idiosyncrasies and habits and obsessions (you really shouldn’t place plastic dishes in the dishwasher). I never thought, however, that I might be the one to place limits on my child. 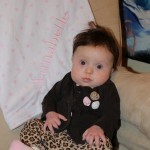 I believe that no limits should be placed on our children with Down syndrome. Often, the only limits they have are the ones placed upon them by others. Consider that when it seems a limit is reached, perhaps your child can go beyond that barrier if you are creative in finding a new teaching method or solution to the problem. Ella is very independent. She pushes me every day to let her do more. Sometimes I hesitate, thinking “she isn’t old enough” to do something. But as long as she is safe, I remind myself to let her keep growing and learning and experiencing. Even if she does get a germ or waste a bit of water. Sorry Dad. Tomorrow is the BIG DAY! World Down Syndrome Day is very important for the UPside. First, it is a chance to raise awareness about The UPside of Down and tell the world how great our kids are. Second, it is a day when we celebrate our kids. Third, families of kids with Down syndrome deserve a day of recognition and celebration for all our hard work. It also marks the one year anniversary of the official launch of the UPside of Down. HAPPY BIRTHDAY TO THE UPSIDE! It’s been an amazing year with families connecting from all over the world. We have members from the United Kingdom, Ireland, Canada, India, Australia, New Zealand, Mexico, Brazil, The Philippines, Hungary….who did I miss? WELCOME! -Go out to eat with your family. Tell your waitress it is World Down Syndrome day and you are celebrating. Ask if you get free ice cream. 2. 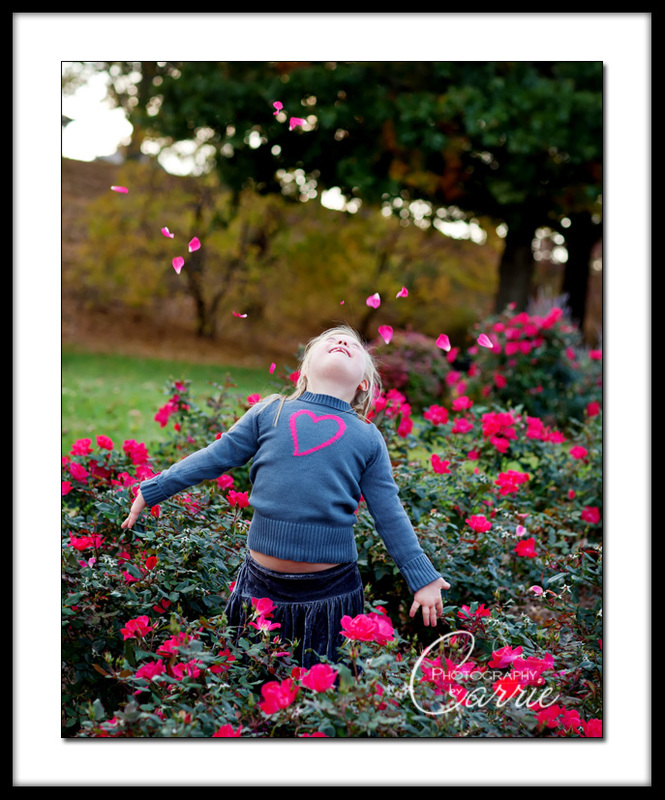 Celebrate your Child with Down Syndrome. Do something very special for your child. 3. Celebrate your Amazing Family. This is another holiday in my book. 4. Celebrate YOU and all you have accomplished in raising your child. Treat yourself. You deserve it. My plans? I work clinic in the morning, so I’m wearing my UPside t-shirt and showing my patients photos of Ella. Then I’m headed to Barnes and Noble for an hour alone. After ordering my venti chai tea, I’ll browse fiction books and image what it would be like if I had time to read one. 5. Finally, after the partying is done, I want you to post your assignment results on our FaceBook page. Photos, stories, the events of your day – share it so we can all see how we managed to change the world in just one day. “Children with Down syndrome are all mentally retarded.” Ugh. That is another one of those dark, outdated, Down syndrome myths. It is even printed in some of my medical textbooks! The truth is, children with Down syndrome can have normal IQ. All kids with Down syndrome are unique and we can not make sweeping generalizations (as all children are unique). While many children with Down syndrome will fall in the “below normal” range of IQ, most of these kids just barely miss the cut-off point. In other words, “severe mental retardation” is not the norm! Our children with Down syndrome can fall anywhere on the spectrum, and normal intelligence is possible. An IQ score is, after all, just a number. 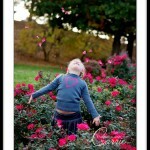 It does not reflect the ability for a child to have a wonderful, fulfilling, and successful life. And it does not measure equally important attributes such as creativity, personality, perseverance, and life experiences. This myth that all children with Down syndrome are mentally retarded comes from the time when most children with Down syndrome were placed into institutions where they did not receive the appropriate medical care, nurturing, education, or therapy. We now know that any child placed in these conditions will not thrive! Our kids were never given a chance. With improved medical treatments, therapy techniques, and methods of teaching, IQ scores continue to rise. We should not place limits on our children, because we don’t know the potential of people with Down syndrome. The possibilities are endless. The possibility of a normal IQ does not mean, however, that we can sit back and hope our kids do great. We still must work hard to ensure our kids reach their developmental potential. It is crucial that early education begin as soon as possible, because there is a window of opportunity when our kids have the greatest ability to learn; from birth to age five, when brain development is at its peak. It actually becomes more difficult to learn after the age of five. Ironic, isn’t it, that this is the age we start school? I found this very overwhelming when Ella was born. Not only did I have to take care of a new baby, but I had to learn about Down syndrome and research how to teach my baby. And I had to figure it out before that window of opportunity for maximum brain development closed. I felt like I was racing against the clock to teach Ella as much as possible before she turned five. I don’t like any of the myths about Down syndrome, but I find this one especially concerning. If parents believe their child is destined to be mentally retarded – that their child can not learn – what incentive do they have to begin teaching baby immediately? I fear many parents will accept this myth and therefore not begin the appropriate care that could actually increase their baby’s intelligence. How sad for both the family and baby if baby’s entire life is limited over a myth! While I often consult with families about medical concerns, my favorite consults are the ones where I get to show a family what they can easily do each day to improve their child’s development. I love getting to know the parents and watching baby grow and thrive. It is extremely rewarding for me to take what I learned to make my own daughter successful and share it with others. 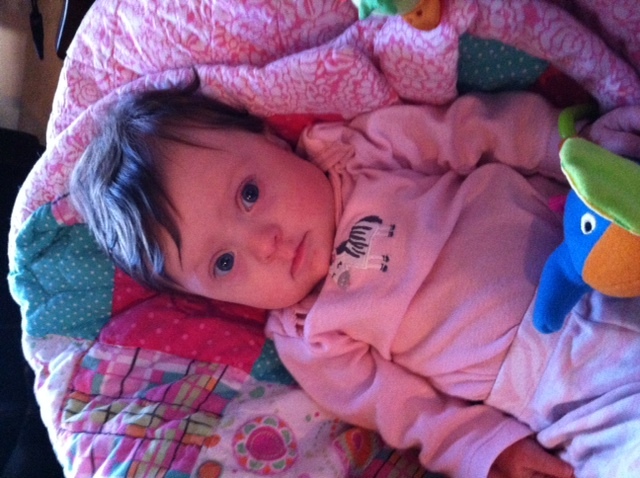 Please don’t hesitate to contact me if you want to learn how you can teach your baby with Down syndrome. The best gift you can give your baby is the gift of a successful future. I’d love to show you how to do everything possible to help your child learn. Click here for a video testimonial regarding obtaining a consultation. I am not going to lie… I cried a lot during my pregnancy. A lot. I was scared and wondered why my daughter was the one who had Down syndrome while people all around me were having these adorable, perfect, and healthy little babies. I can honestly say that having Annabelle is 1,000 times better than being pregnant with her. My tears have dried up. They have been replaced with a commitment to love her, teach her, and grow with her. I always knew that I would love her, but after she was born, I was reminded of how unconditional it would be. I am truly looking forward to my future with her. I can’t wait to watch her grow and thrive. 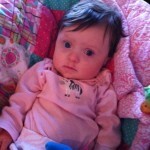 So far, life isn’t any different having a baby with Down syndrome. We have had a few extra doctor appointments since Annabelle does have two holes in her heart that will need repair, but other than that, nothing has changed much. Our life is good, and happiness is still a choice, just like it was before she was born. Sweet Tea; Making it Healthier. I know I have your attention. What is it about those two little words that make you feel all happy inside? You sit down to eat at a restaurant. From the corner of your eye you see a waitress scurrying towards you for the drink order. You know what you want-but do they have it?? Your eyes quickly scan the menu for “SWEET TEA”. Ah yes….there it is! Chances are pretty good you could find an assortment of sugars and sweeteners on your table. Those could be used to make “SWEET TEA”. But it just isn’t the same. First you must decide on yellow, blue, pink, raw, or brown varieties. Then you have to decide how many to use to achieve the appropriate level of sweetness-each variety is different, after all. Opening those tiny parcels is messy. Then the mixing starts. With luck you will have a spoon or even a knife on hand. If not, you are left attempting to stir using a flimsy straw. Using real sugar? Be prepared to stir until tomorrow if you want it to dissolve in your iced-cold drink. The dreaded taste-test often reveals your chemistry project still isn’t sweet enough. Go back to step one. Here’s your health advice. Sweet tea has a lot of calories. One example from a well-known restaurant has 130 calories in 16oz of tea. That is about 7 teaspoons of sugar, which is approximately the same as cramming 2 and ½ cookies into your glass. Add more calories if they keep coming around with refills. All of that sugar takes away from the healthful benefits of tea. So can you make your sweet tea healthier, aside from eliminating it completely? This is where taste buds come in. You don’t like un-sweet tea, you say. Well, was there ever something you disliked as a child but now eat? Taste buds can, and do, change. The rate of change has many variables and is different for each person, but averages 2-3 weeks. You can learn to like un-sweet, or less-sweet tea! The next time you order tea, ask for 75% sweet mixed with 25% un-sweet (The wait staff loves this.). It is not an exact science, but you will be consuming less sugar and fewer calories. Drink your tea this way until you are brave enough to go for a 50-50 mixture (you just cut your calorie intake in half!). Your next step is 75% un-sweet topped with 25% sweet. Once you have gone all the way to un-sweet, taste a 100% sweet tea. Expect to grimace with shock at the sticky, syrupy sludge. I quit drinking sweet tea about three years ago. Occasionally I still treat myself to a 75 % un-sweet/25% sweet mix of tea. I learned not all tea is the same; like wine, there are different taste-profiles and quality. Most of the common super-market teas in tea-bags are the lowest quality tea, and don’t have good flavor unless you mask it with sugar. A high-quality, loose-leaf tea is a totally different experience. I suggest you start experimenting with new teas while you are weaning from the sweetened tea. Most malls now have tea stores where you can sample both hot and iced tea. I am often reminded of the popular saying of “replace your expectations with gratification.” I thought about this several times when I was pregnant with Annabelle. I thought about how lucky I was to be able to have a baby as some couples try for years and years and never succeed. I thought about how lucky I was that she only had Down syndrome and not a more severe diagnosis that would take away her enjoyment in life. I also thought about how blessed I was to be a citizen of the United States instead of another foreign country that doesn’t allow for a free education system for all children. I am currently working with Dr. Kinder because I want to maximize Annabelle’s potential and believe that early intervention is so important. Prior to working with Dr. Kinder, I read many books on parenting children with Down syndrome. Most of the books were overwhelming to me because it provided information on all the things that “could” happen. As a busy mother of three, I don’t want to worry about all the possible challenges that may or may not be in our future. I want to meet Annabelle where she is now and serve her needs in the present time. 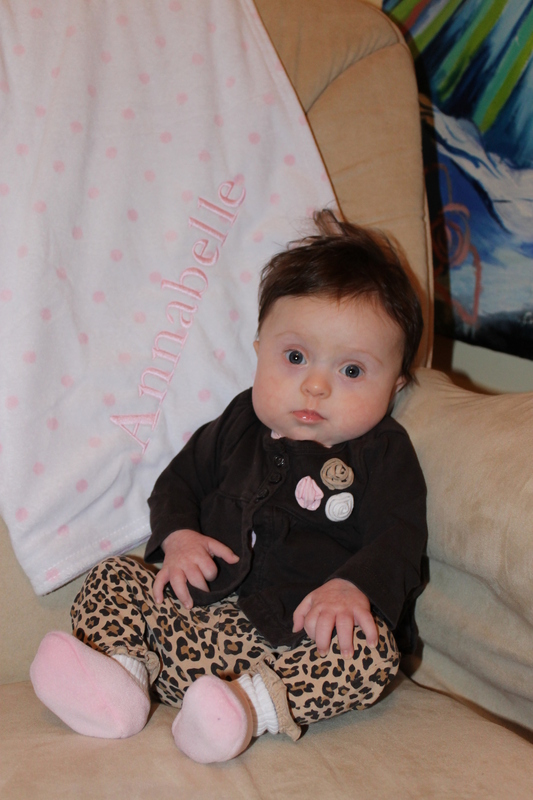 I am working with Dr. Kinder to make my life easier as I strive to provide Annabelle with the very best. I have learned more in the last month of working with Dr. Kinder than I have in my previous five months of independent reading and research. Click here to sign-up for my free Newsletter. 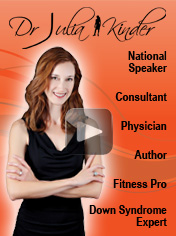 Subscribe to Dr. Kinder's free Email Newsletter and receive two free downloads when you subscribe!